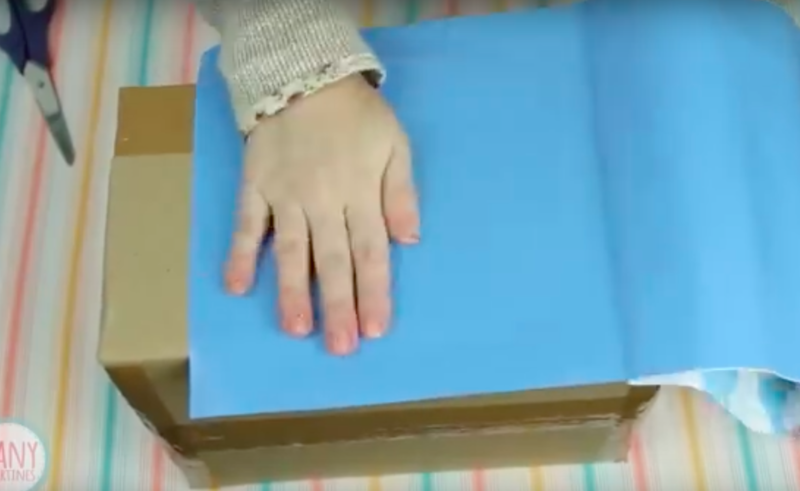 She Starts By Wrapping A Cardboard Box In Contact Paper But Finishes With An Amazing Wall Of Storage! I have seen DIY’s where folks make pretty boxes out of cardboard ones but I have never seen anyone take this DIY to the LIMIT the way that this DIYer does. The awesome handles she puts on these boxes make all the difference and allow her to create a easy-access wall that is so impressive! How long do you think it took her to make all of those?